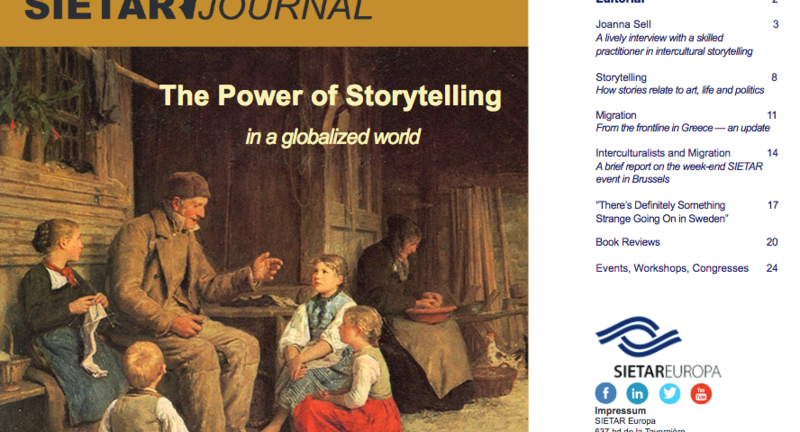 It was a real pleasure to talk to Patrick Schmidt, the chief editor of SIETAR Europa Journal about storytelling and its role in the intercultural field. The interview has been published in the September-November 2016 Issue. The interview took us one hour and the follow-up exchange was very interesting. Storytelling in the intercultural context works! I am convinced that it is the future of intercultural learning as it offers us a chance to change perspectives and build our intercultural competence on communication skills and wisdom as well as curiosity about other cultures instead of generalizations.The entire interview can be found in "SIETAR Europa Journal" SIETAR Europa Journal Issue: September-November 2016 If you are interested in storytelling in the intercultural context do not miss the chance to read my short article in SIETAR Europa Journal Issue September-November 2015 Additionally I would like to invite you to read two chapters on storytelling in English- and German speaking books: "Beyond Storytelling" and "Storytelling". Both of them published by Springer Verlag in Spring 2017. Sell, J. (2017): Storytelling for Intercultural Understanding and Intercultural Sensitivity Development in: (Chlopczyk, J. (ed.) Beyond Storytelling. Springer Gabler.